On Friday 21st April I headed up to the fab The Park Hotel for Fay Stewart’s surprise 85th birthday party, arranged by her daughter Claire Stewart. Lovely afternoon spent playing some acoustic music during the meal and mingling with some lovely people. On Saturday I headed up to Rendcomb College for Anna & Paul’s wedding celebrations. A new venue for me this one, and wow! What a place. 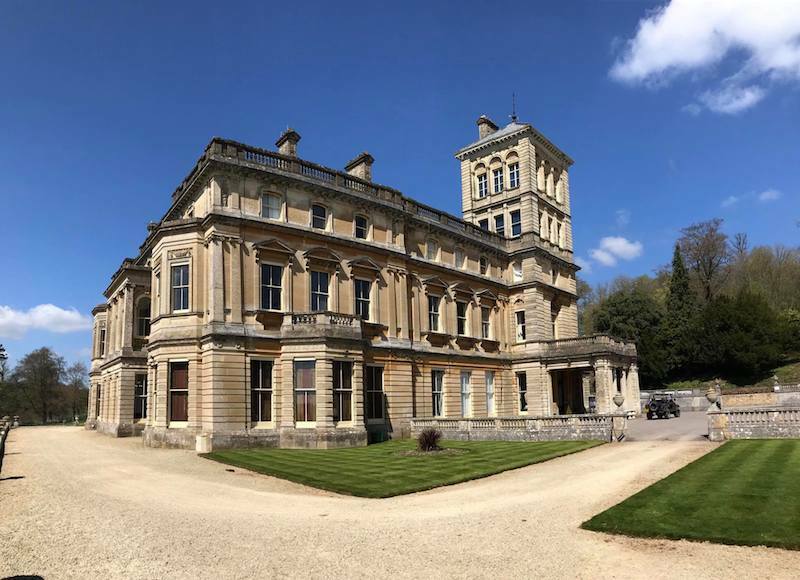 A stunning setting for a beautiful wedding – and the weather was spectacular as well. Congratulations to an absolutely wonderful couple, it was a pleasure to play some acoustic tunes during the drinks reception. 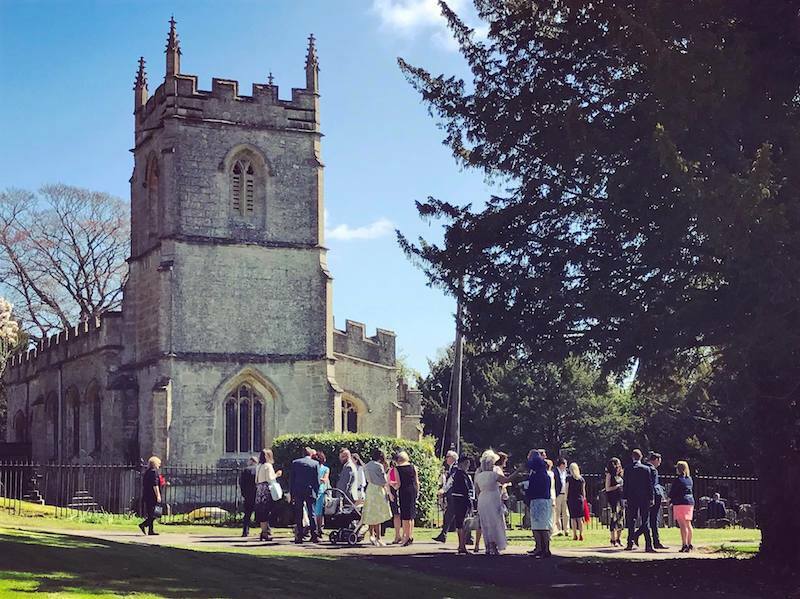 As everyone arrived following the church ceremony, they grabbed themselves a drink and most folks headed outside – so I did a quick move of setup and continued the music out in the sun. The beauty of my new Bose L1 PA system is that it’s super quick and easy to move locations! 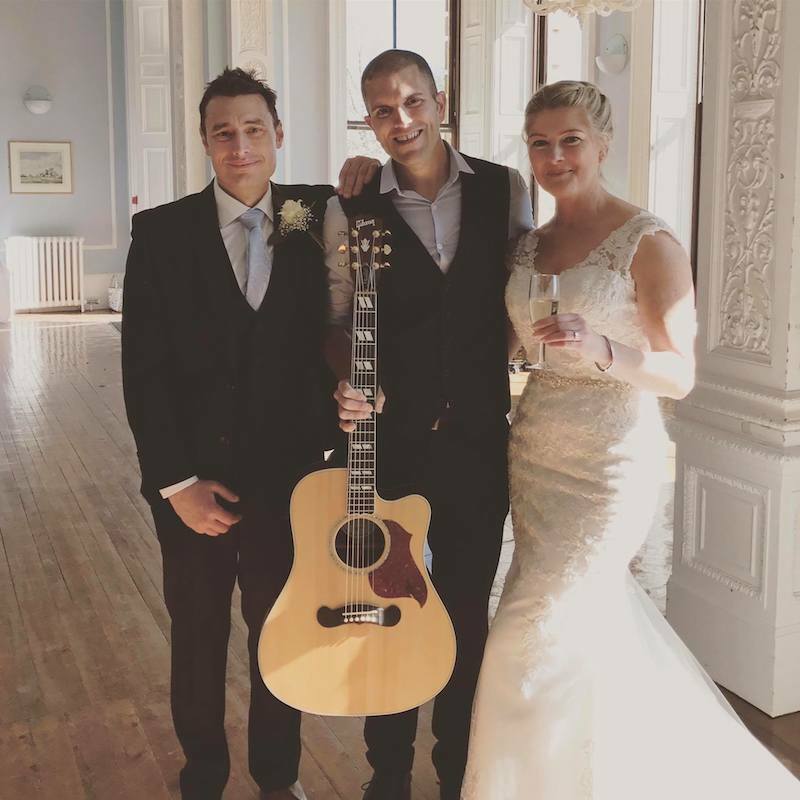 This entry was posted in News, Wedding Guitarist Blog and tagged acoustic, drinks reception, guitar, guitarist, live music, musician, performance, set, wedding by Pat McIntyre. Bookmark the permalink.